The Brian Travis Band performed at Fenix Live! Fenix is a total revolution in live music and dining. Set in a renovated historic building in downtown San Rafael, each room, from the main hall to the kitchen, was crafted by world-renowned acoustic designer John Storyk to provide the best experience possible for both in-house and live-streaming audiences. Fenix is a sought-after stage for accomplished musicians from all over the world, and The BTB performed on the Fenix stage (in addition to being broadcast live via the Fenix website) on Thursday, Nov 5th 2015! Amy LaVere is is an American singer, songwriter, upright bass player and actress based in Memphis, Tennessee. In addition to being a huge musical talent, she has also appeared in music related feature films (Rockabilly queen Wanda Jackson in Walk The Line and a featured role in Craig Brewer’s Black Snake Moan). Check out her excellent music if you've not yet discovered her. Amy was on tour in support of her 2014 release Runaway Diaries. 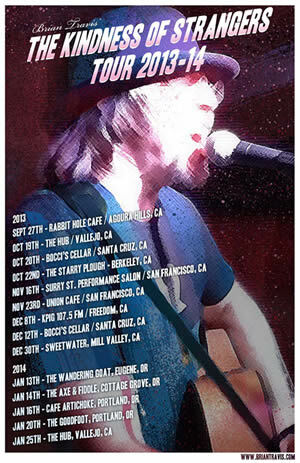 Brian Travis was excited and honored to be part of Amy's tour as a supporting act on Sunday, Sept 20th at Hotel Utah in San Francisco! 2015 LA GIGS: A SALON AND A SALOON! On April 28th 2015 at 11am The Brian Travis Band performed along with Gregor Collins, Rex Smith and Marilu Henner (Elaine Nardo from TAXI) at Vicki Abelson's renowned celebrity driven literary salon, WOMEN WHO WRITE. On Wed, April 29th 2015 the BTB performed a 30 min set as a featured opener for Just Dave's Last Chance Country Jam at Maui Sugar Mill Saloon which Dave puts on every week at 18389 Ventura Blvd, Tarzana CA. "Siren" Screened at Sprockets Music Video Festival in Athens Georgia! The new BTB music video for "Siren", directed by David Barlia, was an official selection at Sprockets International Music Video Film Festival! Started in 2004, this annual festival is held each summer in Athens, Georgia - a city known worldwide for its vibrant local music and arts scene. Athens is the perfect place to celebrate the festivals love for music videos and bring together the international music video industry. "Siren", was up for Best Music Video and an Audience Choice Award and screened on July 19th 2014 at The 40 Watts Club in Athens GA. Songwriter Brian Travis traveled to Athens to attended the music video festival. Official Release of the Siren Music Video! At long last, the Brian Travis Band music video for "Siren" from the George Landress produced album, The Coyote & The Crow is officially released after its premier as an official selection at the 2014 SPROCKETS Music Video Film Fest in Athens, Georgia. Siren - The Brian Travis Band from David Barlia on Vimeo. The music video was very well received at Sprockets and it is with a great deal of excitement that we release the music video for "Siren" worldwide via the internet for all of our fans to enjoy! Luna Achiary, Erin Denti, Sarah Green, George Landress, Terryl Phillips, Adam Mogil, Morgan Johnson, Jodi Leib, Barbara Pond, Jenny Dang, Marie Llous, Cedar Johnson & Denise Stevens. I'd like to list all the credits of the music video here as well because it took a team to make this happen and we are thankful to everyone who contributed their talent and skills. Captain Mange Entertainment / Michael J. Elwell Productions. "The Coyote & The Crow featured on KPIG Fresh Pork Chops! KPIG radio in the bay area (107.5 FM) featured The Brian Travis Band's new CD, "The Coyote & The Crow" on their new music show, "Fresh Pork Chops" which originally aired Monday, June 16th through Friday, June 20th 2014 at 7pm. The BTB Siren music video premier was held at Bar Lubitsch in West Hollywood on Monday, March 31st 2014. The music video screening was presented by Brian Travis and director David Barlia who offered a few stories on how the video was made followed by a Q&A with the director, cast and crew followed by an acoustic Brian Travis Band performance. Production art and storyboard art were on display and the winner of the signed original story board art for the music video went to George Landress who donated the highest amount of production funds during the "Siren" music video fundraising campaign. HELP GET THE BTB ON THE RADIO, JOIN THE STREET TEAM! 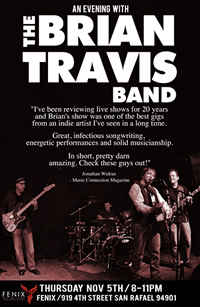 The Brian Travis Band radio promo blitz has begun! 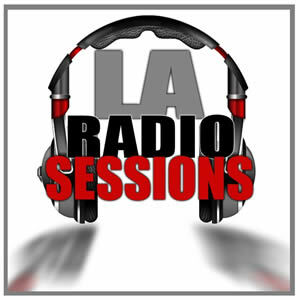 We are working with our producer George Landress to help us achieve our goal of getting BTB music on the airwaves! We are asking for the help of our fans to make calls to regional radio stations in California and Oregon requesting our single, "I Need To Know". If you would like to join the BTB Street Team as a volunteer caller it could really tip the scales and make a big difference in helping years and years of hard work come to fruition. If you would like to be a part of this exciting radio campaign, please email us at briantravisband@gmail.com and our Street Team co-ordinator, Camryn Graver-Dowd will call you with station request lines and times to call and brief you on what to say. The Kindness of Strangers Tour Poster! The Pacific Northwest leg of The Brian Travis Kindness of Strangers Tour is all wrapped up and to commemorate this portion of the tour briantravis.com is offering a collectible limited edition tour poster with a donation of $20 or more to The Kindness of Strangers Tour. These limited edition tour posters are signed and numbered by the artist making them a very rare piece of Brian Travis Band memorabilia. For $50 (or more) donation to The Kindness of Strangers Tour you will receive a limited edition signed and numbered tour poster AND a very special (and personal) solo acoustic recorded MP3 of your favorite Brian Travis Band song that will arrive in your inbox in Febuary/March 2014. 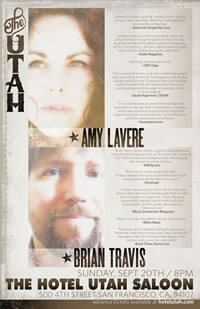 Announcing "The Brian Travis Kindness of Strangers Tour 2013"! Brian Travis embarked on an open ended tour across the bay area in the fall/winter of 2013 to promote the new BTB CD, "The Coyote & The Crow" with the help of fans and supporters. The tour concept was simply this: One Man. One acoustic guitar. A backpack filled with CD's, minimal resources and booking the shows from a laptop while on the road. Brian achieved his goal of playing venues all over the USA on his way to Nashville living only on what people gave him in exchange for his performances and the support of fans like you. What supporters got in return was a weekly Kindness of Strangers Tour video episode which was uploaded to bt.com every week during the entirety of the tour. Fans kept up with the tour and followed along with Brian as he promoted his new CD at shows and radio station appearances all across the nation. 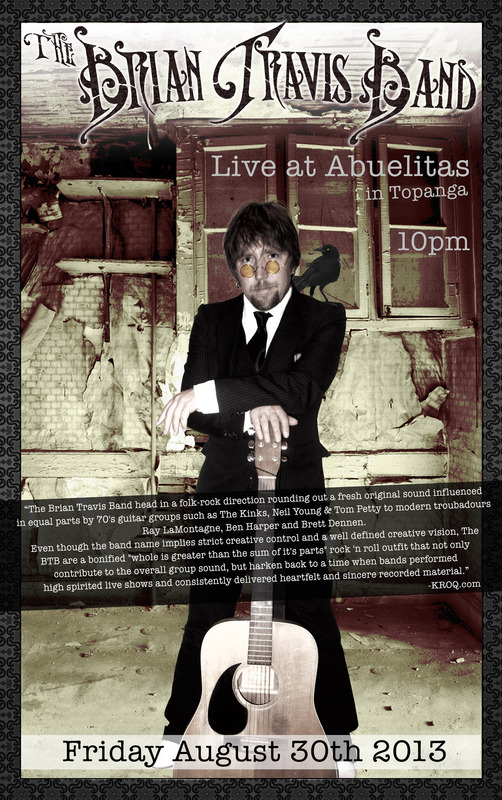 Brian Travis' birthday was celebrated with a BT birthday shindig at Abuelitas in Topanga on Friday, August 30th 2013. It was a great celebration surrounded by friends and fans at his birthday show! BT would like to send out a big THANK YOU to all who were in attendance! 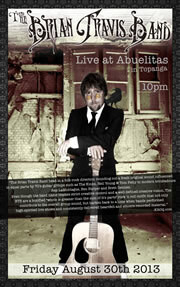 The BTB return to Santa Barbara! 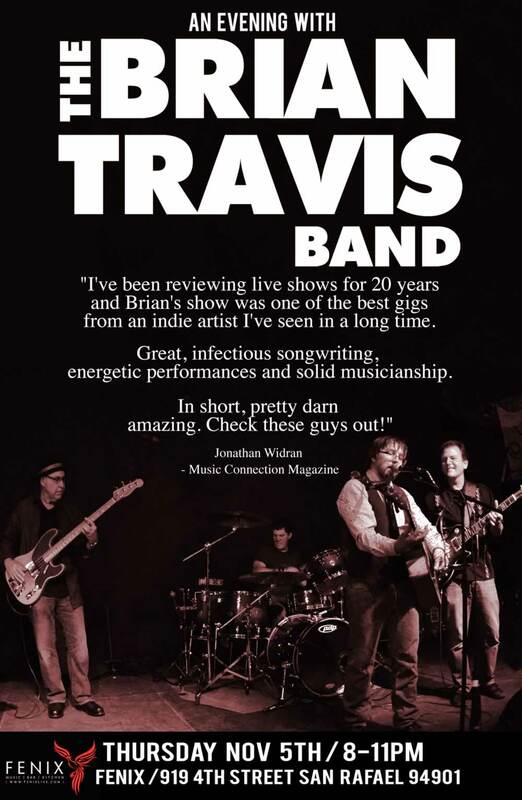 The Brian Travis Band embarked on two back to back shows in Santa Barbara playing as an acoustic trio! With re-arranged the material to fit a more stripped down approach, the band experiencing some rootsy, acoustic magic with the audiences at Soho Restaurant & Music Club and The Cold Spring Tavern in Santa Barbara. Acoustic Radio Show May 22nd! The Brian Travis Band performed acoustic on May 22nd 2013 at LA RADIO STUDIO in Long Beach as part of the LA Radio Studio Sessions featured on the 9pm segment with host Mike Stark. Mike Stark is a veteran broadcaster who has worked in all areas of the broadcasting business for over 40 years. Starting out in television in the early 70's, Stark spent over 10 years with the ABC Television Network as an administrator before moving to his first love of radio. Throughout his radio career, Stark has worked in a variety of radio positions. In the mid-90's he hosted his own weekly talk show on the legendary heavy metal station KNAC-FM, while producing the station’s daily morning show. Stark also worked for the ABC owned Los Angeles stations KABC-AM and KLOS-FM. After leaving his staff position at ABC radio in the mid-80's, Mike worked as a freelance producer in local radio, network radio, and syndicated radio. BTB producer George Landress speaks about The Coyote & The Crow! 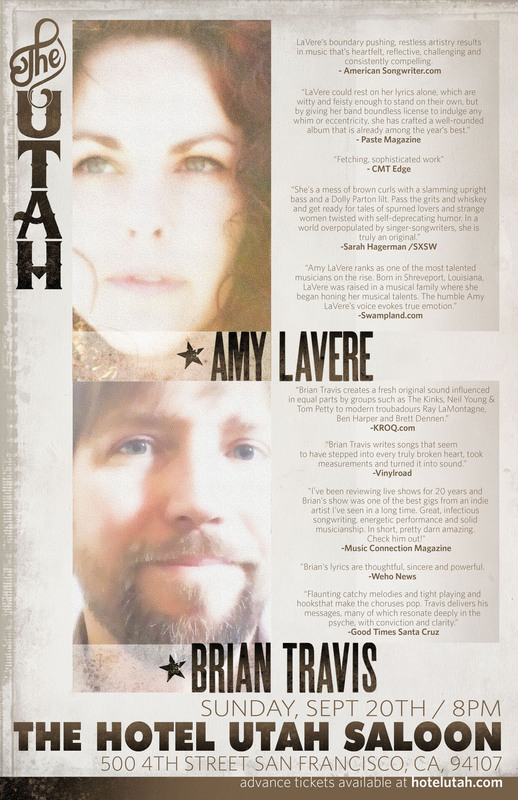 We are excited and honored that the new Brian Travis Band album has been nominated for an LA MUSIC CRITIC AWARD for BEST AMERICANA/COUNTRY ALBUM of 2013! We want to thank BTB fans everywhere for sharing such a fantastic year with us. We also wish to thank the LA MUSIC CRITIC AWARDS for their consideration! Check out the Examiner for more information!